• There is no time to lose interest. • Harvest comes before the school holidays. • They often escape summer pests such as aphids and caterpillars. 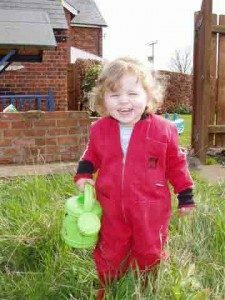 Plants can be bought in garden centres or on the web, either in pots or as plugs. 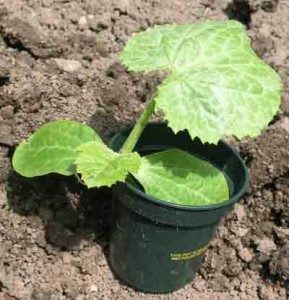 This is a photo of a courgette plant that is ready to be transplanted from the pot into the garden. Plug plants are young plants raised in small, individual blocks of compost. The blocks, or cells, are ready to be transplanted into containers or into the vegetable garden. 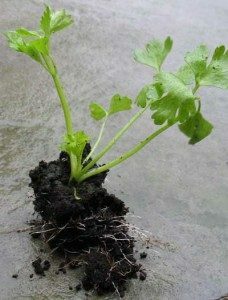 This celery plug plant has been grown in compost in a cell. The plant has grown lots of roots, which you can see – they are the white hairy bits in the photo. The celery has been pulled out of the cell and is ready to be planted in the garden. 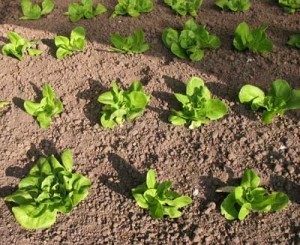 The lettuce plants in this photo were grown from plugs. 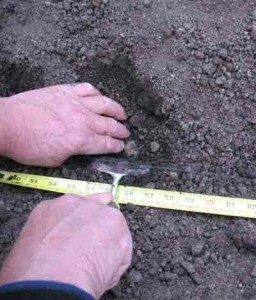 Prepare the soil and firm it down. Make a hole which is just wider and deeper than the plant roots. Hold the plant in the hole & using the other hand, gently push the soil, so that the hole is filled all around the roots & underneath. Firm the soil down so that the lower leaves are just above the soil. Water well using a can with a rose. Do not allow the soil to dry out, particularly in the first few days. 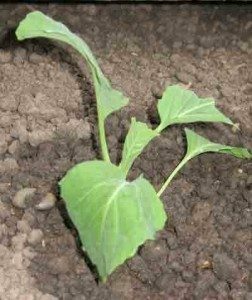 Using bought in vegetable plants or plugs is well worth the investment.